The prince of puddings emerges triumphant from the island mist in a majestic mouthful of mellow fruitfulness. This product contains: Milk, Gluten. Although none of our products contain nuts we cannot guarantee they are free from nut traces. For allergens, see ingredients in bold. 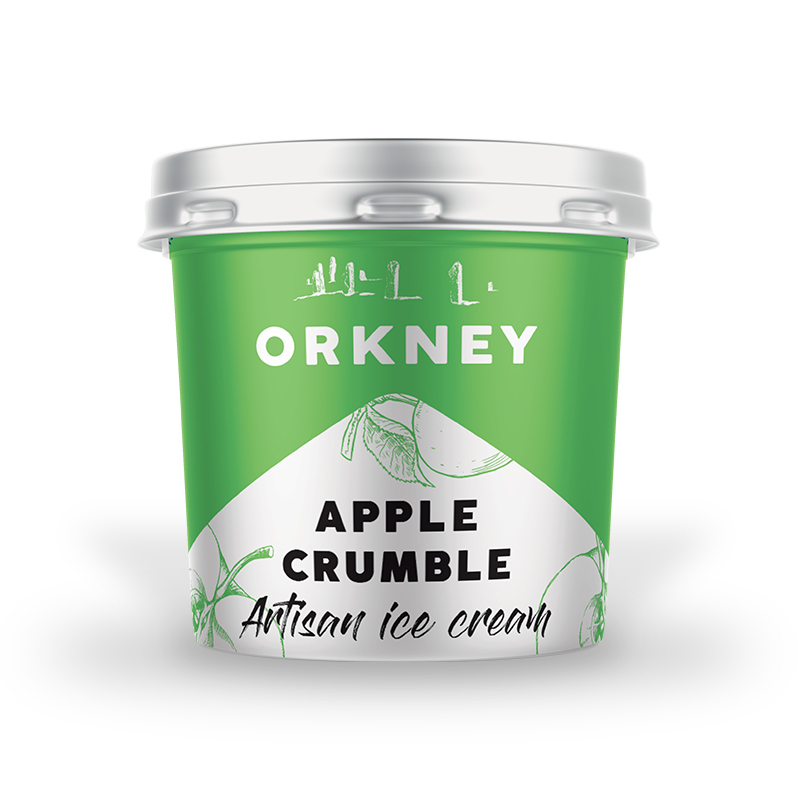 Whole Milk, Double Cream (Milk), Sugar, Dried Skimmed Milk (Milk), Apple Sauce (Flavours, Modified Starch, Citric Acid, Preservative; Potassium Sorbate), Apple Flavour (Citric Acid, Flavours, Stabilisers; Carrageenan, Carboxymethylcellulose, Guar Gum), Crumble (Flour, Sugar, Vegetable Margarine, Water) (Gluten), Emulsifier (Mono- and diglycerides of fatty acids), Stabilisers (Sodium alginate) (Milk). 12 months from manufacture at -18C or below. Once thawed do not refreeze. For Best Before End date, see base of tub.